Elisabetta Cunsolo teaches art history at the Dickinson College Center in Bologna. 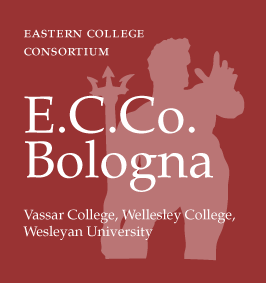 At E.C.Co., she offers a course on Bolognese art between the fourteenth and the seventeenth centuries, in which she takes students to various churches, palaces, and museums to study the works of art in their original settings. After a Master degree in Art History at the Università Cattolica del Sacro Cuore in Milan, during which she specialized in the study and cataloging of Italian prints and drawings, she received her doctorate in art history from the University of Bologna in 2004. 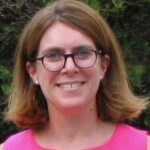 Her current research focuses on the study of the sixteenth and seventeenth-century medical book illustration, and on the history of the art and culture of Bologna during the Renaissance. She has also worked as the assistant curator and project manager for the cataloging and digitization projects of the Fototeca Berenson at Villa I Tatti, The Harvard University Center for Italian Renaissance Studies in Florence. Her publications include: Review of Le prince et les médecins. Pensée et pratiques médicales à Milan (1402-1476), by Marilyn Nicoud. Renaissance Quarterly (2015), Vol. 68, No. 4; “Le stampe dei Grue tra Roma e Venezia (passando per Senigallia).” In Aurelio Anselmo Grue. La maiolica nel Settecento fra Castelli e Atri, by Fernando Filipponi. (Andromeda Editrice 2014); Translation English to Italian of Emily Urban’s essay and catalogue entries in La Sala Bologna nei Palazzi Vaticani. Architettura, cartografia e potere nell’età di Gregorio XIII, ed. Francesco Ceccarelli and Nadja Aksamija (Marsilio 2012); “Catalogazione e digitalizzazione nella Fototeca Berenson: le fasi di un progetto.” Predella (2011), n.28; Review of the conference Photo Archives and the Photographic Memory of Art History, London, June 16–17, and Florence, October 29-31. Visual Resources. An International Journal of Documentation, 26, no. 4 (2010); “Giulio Casserio e la pubblicazione del De Vocis Auditusque Organis tra Padova e Ferrara all’inizio del ‘600.” Mélanges de l’Ecole Française de Rome (MEFRIM), 120, 2 – 2009; “Between Reality and Imagery.” In Confronting Mortality with Art and Science. Acts of the Annual Meeting of the Association Européenne des Illustrateurs Médicaux et Scientifique (AEIMS) and the Medical Artists Association of Great Britain (MAA.) Bruxelles: VUBPRESS (Brussels University Press 2007); Biographical and catalogue entries of Canaletto and Antonio Visentini in Da Magnasco a Francesco Guardi, Paesaggi, vedute e capricci del ‘600 e ‘700 lombardo, ed. Giovanni Valagussa (Silvana Editoriale 2007); “Tra metodo e arte. Giulio Casserio e la rinascita della trattatistica anatomica all’inizio del Seicento.” In Il corpo in scena, ed. Marinella Pigozzi (Tip.Le.Co. 2015).